With this product you can accumulate up to 109 Glitter Points. 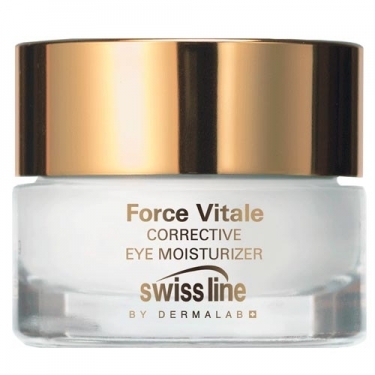 DESCRIPTION: Corrective Eye Moisturizer from Swissline is a cream formulated to drastically reduce the surface area, volume and density of wrinkles while tightening the eye contour area and smoothing the crow's feet. Reduces wrinkle depth while boosting collagen synthesis. Caffeine helps reduce swelling, and hyaluronic acid restores elasticity. In addition, alpine botanical extracts, olive oil and wheat germ oil help support the skin barrier function.